If you’re planning a trip to London, or you’re keen to explore Amsterdam, extending your trip by a few days to fit in another fascinating European capital just across the water is well worth it. We hand over to travel bloggers and Big Blog Exchange 2014 finalists Kitty Chan from Hong Kong, and Jono Cusack from Australia. Discover tips on how to make the most of London as a culture vulture and breakfast lover, and how to see Amsterdam in a different kind of light to the red variety we’ve all heard about. According to research conducted in August 2014, a return transport fare from London to Amsterdam booked a spontaneous one week in advance revealed that a coach trip could be as cheap as £35, travelling by ferry considerably more at £103, and by train a little more pricey at £250. When I discovered I was a Big Blog Exchange (BBE) finalist this year and won a trip to London, the first thing on my mind was… English Breakfast here I come! 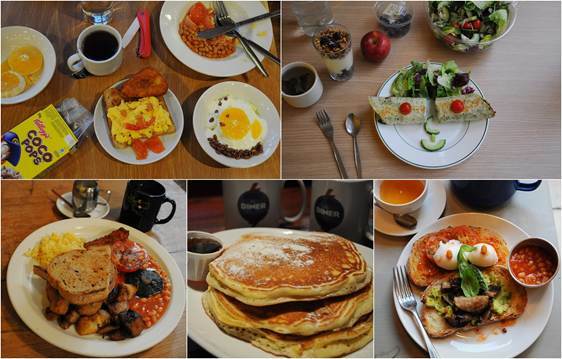 We Hong Kongers love an all-day breakfast, a full plate of food which originated in Britain. As a breakfast lover and explorer, this was a great opportunity to experience British breakfast culture from its source. What could be better to wake up in London and fuel up with the real English breakfast? Start the day like a dream with London’s many breakfast options, inspired by cuisines from all over the world. I was staying in YHA London St Pancras for 4 nights, and its ideal location allowed me to explore London freely. With a 5-minute-walk to the famous and stunning St Pancras train station building, I could catch the tube (London’s underground transport system) easily. The London tube route looks like spider web, but when compared to some Asian subway networks like Tokyo or Hong Kong, I was quite used to the complexity. A few yummy breakfast stops I would recommend include The Breakfast Club (located in hotspots Soho, Camden and Angel), The Diner (top American breakfasts), and Bill’s (contemporary all-day European food, especially great to start the day). They all have locations around London, so that you don’t have to travel far early in the morning. If the famous British rain is making an appearance, you can always enjoy your English breakfast in the cosy hostel lounge. 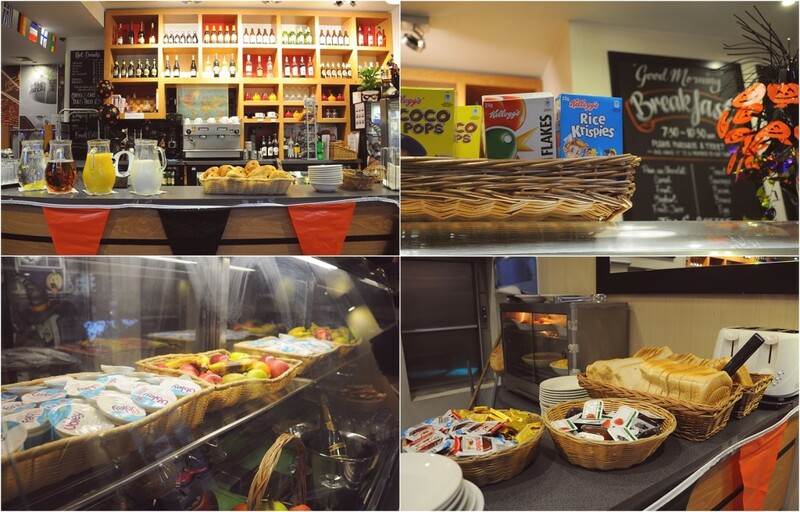 Every YHA provide a hearty breakfast with a small extra cost. For me, it included fruit, yoghurt,cereal and milk, toast and jam, eggs, bacon – and baked beans of course. The best thing about it is that you can have breakfast in your pyjamas. What I love most about London is that almost all museums and galleries are free. Every day after breakfast, I spent most of my time inside historical buildings, surrounded by fossils, mummies and art pieces. Knowledge is always the best souvenir I take home with me after every journey. 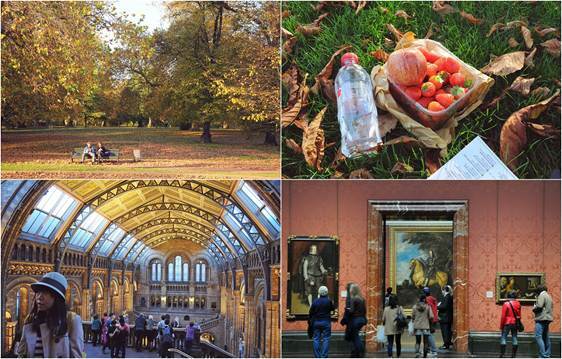 Last but not least, don’t forget to visit Hyde Park and enjoy a little picnic under the sun (if you are lucky enough to get any in London!). You can easily buy fruit and food-on-the-go from supermarkets or street markets. When you are sitting under the trees with squirrels and snacking on a sweet strawberry, you will understand what life is. Follow Kitty: Blog, Weibo, Instagram. Check out our hostels in London. Let’s face it, if you’re a young backpacker going to Amsterdam then you’re hardly going to go to admire the absolutely stunning city that it is. You’re going to the Coffee Shops, the Red Light District and to the Heineken Experience, and that’s absolutely fine. If you can possibly drag yourself away from the pub crawls then there a few things you can check out. The Van Gogh Museum is special, and if you don’t appreciate it now, then you will appreciate that you’ve been later in life. Once you’ve eaten your way through half the city’s French Fry stocks, go to an Indonesian restaurant. Indonesia was once a former colony of the Netherlands and now its cuisine has made it across the seas. The Anne Frank Museum is always on the list of the top sights: make sure you’re prepared for it so you can truly appreciate the experience. If you’re only going because you think you should go, then don’t. If you’re that way inclined go to Melkweg or Paradiso to see some incredible gigs, where you can be loud and raucous. Lastly, take five to enjoy the canals and relax on a barge around the city. There are more than one hundred kilometres of canals, about 90 islands and 1,500 bridges. 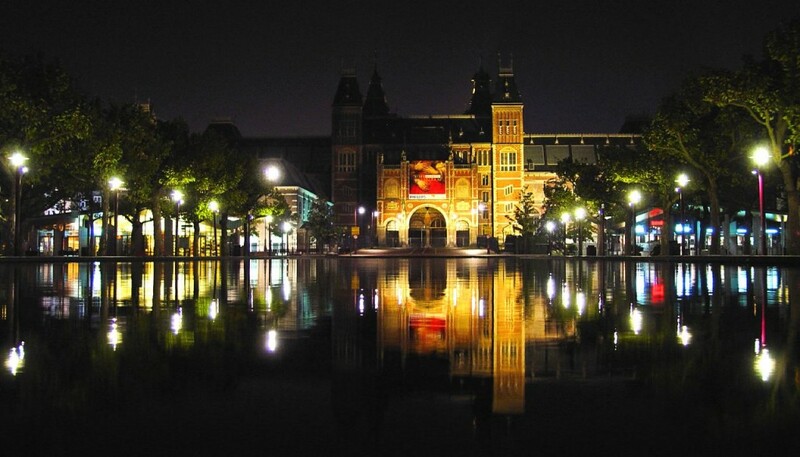 Amsterdam is one of those gateway cities to Europe, one of the very first places you will visit. It is one of the greatest places to party and you will have some blinding nights, but don’t just waste your time there. There’s so much more than getting wasted. Follow Jono’s adventures across the world at seesomething.com.au. 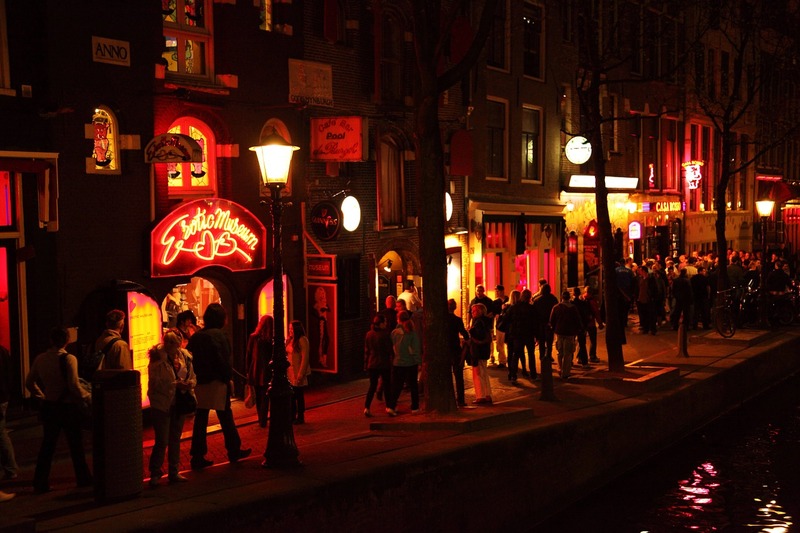 Check out our hostels in Amsterdam.